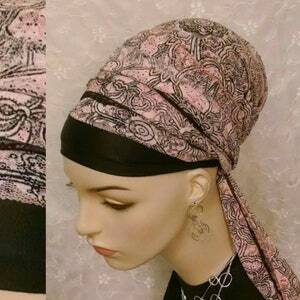 Beautiful cotton, beautiful twist wrap-twice sinar tichel! 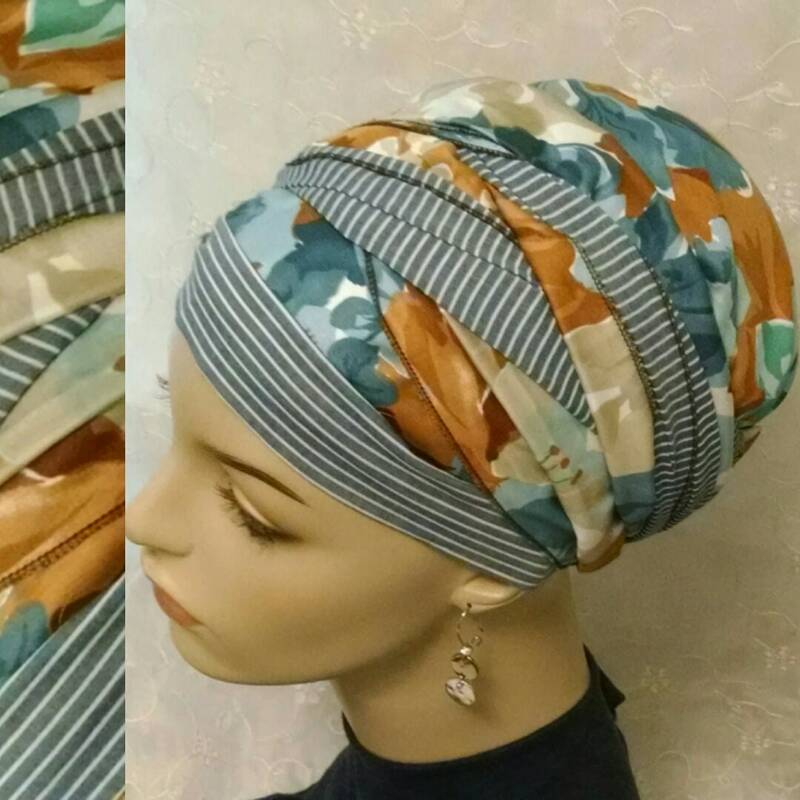 Stipes and a modern feminine floral pattern wraps up beautifully in this fun wrap! 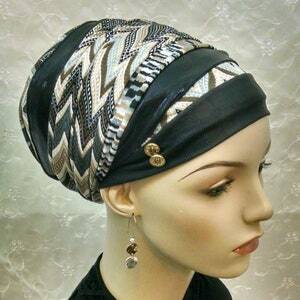 This is a very beautiful tichel to pull your outfit together with beauty and style! Sinar is the Hebrew word for apron. 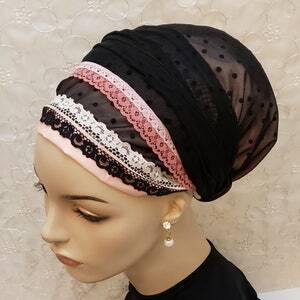 This style of tichel is traditionally called sinar apron as they are constructed like a small apron, with decorated ties that wrap around your head, creating the look of many scarves and headbands in one lig Ihtweight UNbulky tichel. 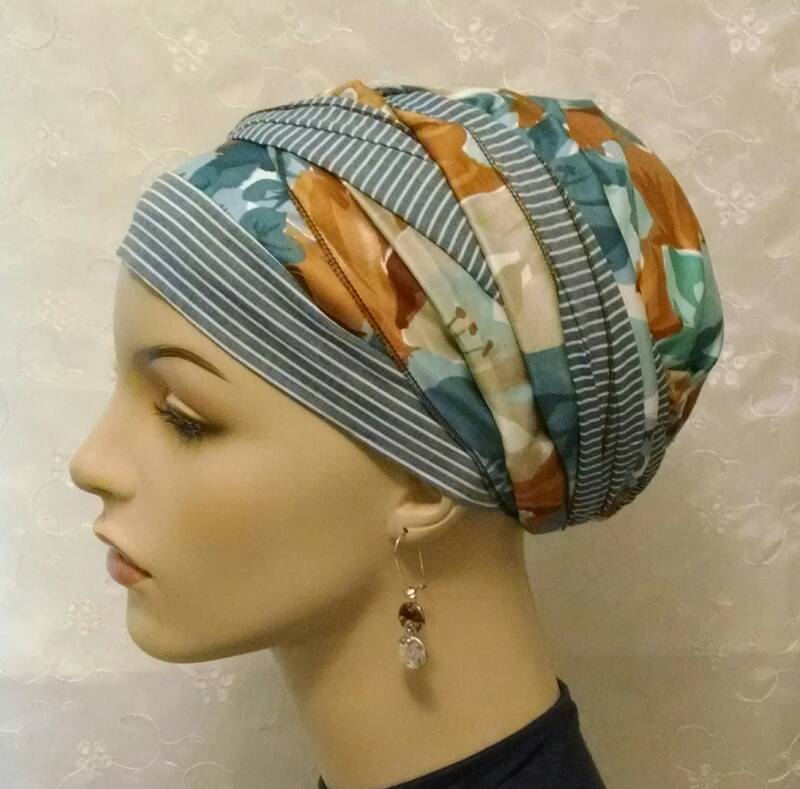 Pretty and summery cotton. 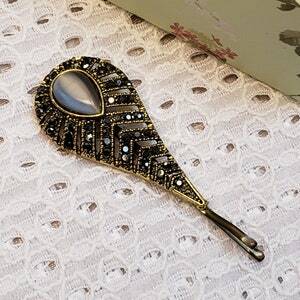 Perfect to wear with a coordinating denim piece. Quick shipping. Personal contact. She stands behind her business.